David Ramey is preparing to launch a new wine label, Sidebar Cellars, targeting the younger, more adventurous wine consumer. Although his family winery is based in Healdsburg, David Ramey has little regard for county-line pigeonholing when it comes to his acclaimed cabernet and chardonnay wines. The logo on his business card says it all — a family crest flanked by the word “Napa” on the left and “Sonoma” on the right, the three elements neatly balanced above Ramey Wine Cellars, the label he started with his wife, Carla, in 1996. Ramey’s cabernets come from Rutherford and Oakville, and his chardonnay and other wines come mainly from the cooler-climate locales of Sonoma County. To its owner/winemaker, Ramey Wine Cellars is and has always been a dual county label focused exclusively on producing celebrated cabernet sauvignon, chardonnay, syrah and, most recently, pinot noir. But now, looking to expand the family wine business, the Rameys are stepping outside the self-imposed limitations of their namesake brand. In April, they will launch Sidebar Cellars, a new wine label targeting the younger, more adventurous wine consumer. According to Ramey, the “second brand” will feature affordably priced varietals and blends not offered in the more traditional Ramey Wine Cellars lineup. Ramey said the first release of the new brand will include a Rhone-style blend of grenache, mourvèdre and syrah sourced from Redwood Valley in Mendocino County, a Russian River Valley syrah rosé and a Kerner white wine from Lodi. Kerner, Ramey said, is a white hybrid grape that is a cross between the red varietal Trollinger and the white Riesling varietal. It yields a white, aromatic wine widely popular in Germany but relatively unknown in the U.S.
“It’s an aromatic white with some substance to it. I mean more grip certainly than pinot grigio,” Ramey said. Sidebar Cellars is the Rameys’ most recent move to expand and enhance the family’s wine operation. In late 2012 the couple purchased Westside Farms, a 75-acre ranch bordering the Russian River with 42 acres of vineyard. The property also includes a historic hop kiln that the Rameys are converting into a public tasting room. They also plan to build a winery and caves on the property, which will become the new home of Ramey Wine Cellars. Ramey said that Sidebar Cellars and the new winery project are aimed both at “staying relevant” in a changing wine market and, more importantly, growing the family business for the next Ramey generation. Ramey Wine Cellars’ current headquarters are in downtown Healdsburg, its winery operation split between two industrial buildings. Ramey said the plan is to convert one of those production facilities into the Sidebar Cellars winery and move all Ramey wine production to the Westside Farms property. The Sidebar Cellars brand, Ramey hopes, will allow his family to expand its wine presence to address the growing, primarily younger demographic wine market. While Ramey Wine Cellars has achieved two decades of steady success with its more traditional Bordeaux and Burgundy-style wines, Sidebar will offer lower-priced blends and varietals attractive to today’s younger wine consumers. “Basically I’m a winemaker,” he said. “That’s all I’ve ever been but I want to continue to grow the business for our kids and stay relevant to a younger generation of consumers who weren’t raised on the classic wines of France,” Ramey said. Besides the expanded wine repertoire, Sidebar will allow the Rameys to produce more affordable wines for a broader market, he said. While Ramey Wine Cellars wines are produced from high-end fruit grown only in the Napa Valley or Sonoma County, Ramey said that Sidebar will cast a wider net for its grapes, sourcing fruit from additional California regions including Mendocino County and Lodi. Ramey’s continued passion for wines and winemaking is obvious, especially considering that he has been in the business for nearly four decades. He ranks among a handful of winemakers credited with helping to boost California wine into international prominence. Ramey has also been on the forefront of developing a California style of wine that merges Old World traditions with new-world techniques in both the vineyard and the winery. Ramey’s winemaking approach has clearly been deeply influenced by classic traditions of French winemaking. After earning his doctorate in enology from U.C. Davis in 1979, Ramey worked briefly for the renowned Chateau Pétrus estate in Bordeaux. Lessons learned in France became the basis for Ramey’s success in Napa and Sonoma counties, a region, he feels, that offers some of the world’s finest grapegrowing/winemaking opportunities. Ramey first made his mark in Sonoma County at Matanzas Creek, Chalk Hill and Simi wineries. He then came to Napa Valley where he became winemaker for Dominus Estate and then Rudd Oakville. At Davis, his thesis on volatile ester hydrolysis explored how aromas evolve in wine, a study that is still used today. Later he did groundbreaking work involving indigenous yeasts, sur lies aging (essentially aging wines without removing yeast sediment) and malolactic fermentation. Ramey said he remembers the moment he came to the realization that maybe he could strike out and create his own winery and label. It was the mid-1990s when Christian Moueix was recruiting him to join Dominus Estate. 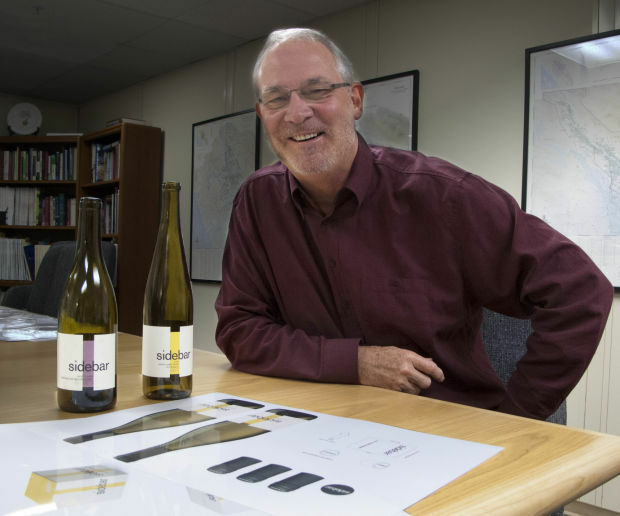 After finding a small block of grapes to buy, he made the first Ramey chardonnay, founding Ramey Wine Cellars in 1996. He soon added cabernet sauvignon and later syrah to the Ramey roster. Today, Ramey Wine Cellars produces several vineyard-designate and AVA blends of chardonnay, cabernet, syrah “and a little pinot noir” sourced from select vineyards in the two-county area. Of Ramey’s 40,000-case annual production, 15,000 cases are Russian River chardonnay. Cabernet is sourced from the leased Pedregal vineyard in Oakville and other nearby growers in the Oakville and Rutherford AVAs. Since starting his own label Ramey has also maintained a busy schedule as consulting winemaker for several wineries in Napa and Sonoma counties. Ramey’s early experience with French winemaking gave him an understanding of the importance of terroir in the production of fine wine. When he returned to Northern California in the 1980s, however, he found a fine wine grape-growing culture that was still in its experimental stage. Companies or industries that are reluctant to adapt to market changes are doomed to flounder or fail, he said. This premise helps support the Rameys’ decision to launch a new brand despite the continued success of their more traditional Ramey Wine Cellars label. Sidebar Cellars, he said, will venture outside Ramey’s “classic” comfort zone and he is excited about it.